The goal of Annuity Report’s is to help those planning to retire gain an understanding of an annuity and the ways it can make it easier for you to reach your retirement aspirations. We also have the objective of providing you with financial assistance from a certified professional. Insurance companies often offer products that are aimed at helping you secure your savings. These products work differently from one another. That is why it is crucial that you consult with a financial professional before you make any decisions regarding your retirement security. Your privacy is our number one priority. That is why we guarantee that your financial information will not fall into the hands of third parties. We will only use your information to match you with a financial professional who can best assist you in choosing an annuity plan that will fit your specific needs. Get Your Free Ultimate Retirement Guide! You can experience the retirement you have always dreamed of. Once you fill out your personal information, you will be able to download your free Ultimate Retirement Guide. 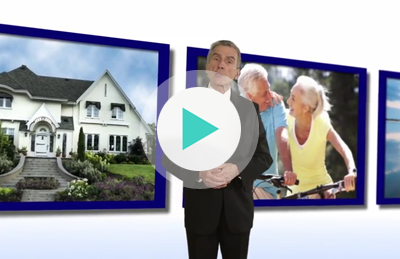 You will receive two detailed videos on the ways in which an annuity will benefit your retirement needs. In addition, you can download forms that will allow you to connect with a certified finance experts. Other downloadable forms include – but are not limited to – your Pre-Retirement Checklist and your Personal Financial Evaluation. REQUEST A CONSULTATION – IT'S FREE!